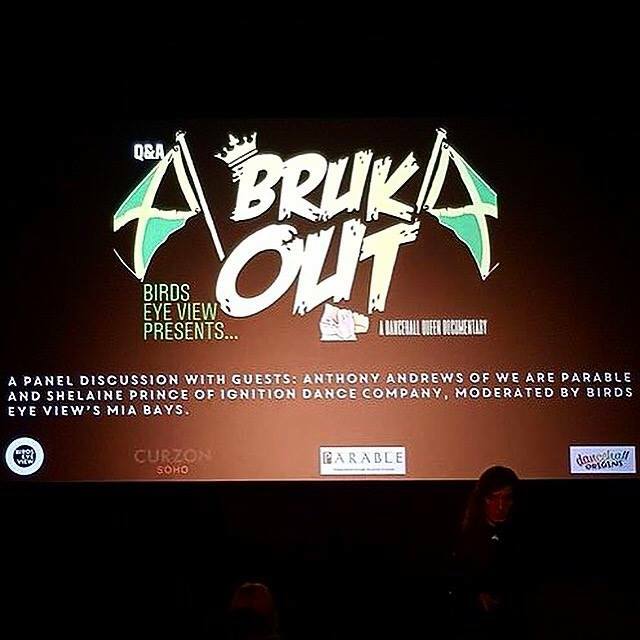 On Wednesday 8 November 2017, Dancehall Origins was proud to work with Curzon Soho and Birds Eye View Films to curate post-screening activity for Bruk Out! A Dancehall Queen Documentary. 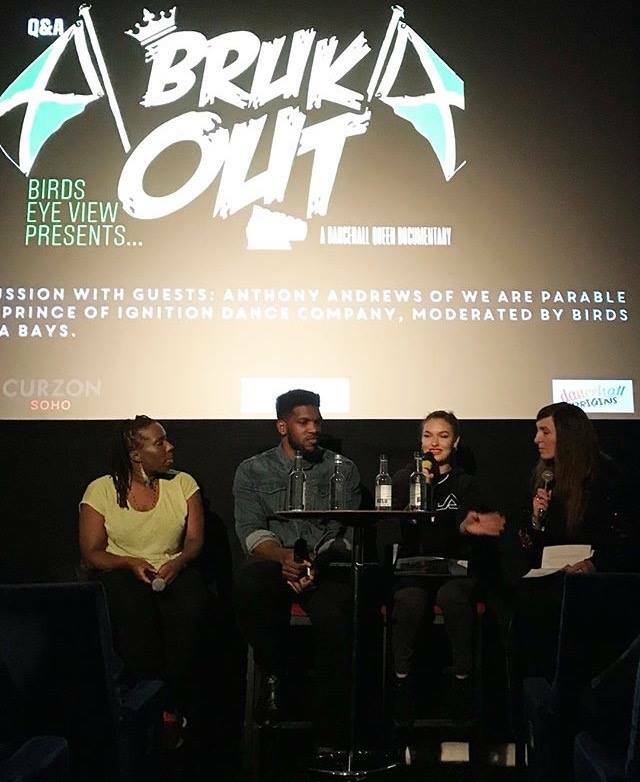 The screening at Curzon Soho in November 2017 included a brilliant and insightful Panel Discussion with Anthony Andrews of We Are Parable and Shelaine Prince of Ignition Dance Company PLUS a jaw-dropping performance from DHQ Hanna Braveheart followed by music from DJ Chloëdees. Big thanks to Mia of Birds Eye View Film and Michael of Curzon for creating this platform to share part of Dancehall’s story, and for inviting Dancehall Origins to help ensure the screening was connected to (and showcased) the UK scene. DHQ Hanna Braveheart, Dancehall Queen Showcase at the screening of Bruk Out! November 2017. Post-screening discussion at Bruk Out! November 2017, featuring Ignition Dance Company, DHQ Hanna Braveheart and We Are Parable.